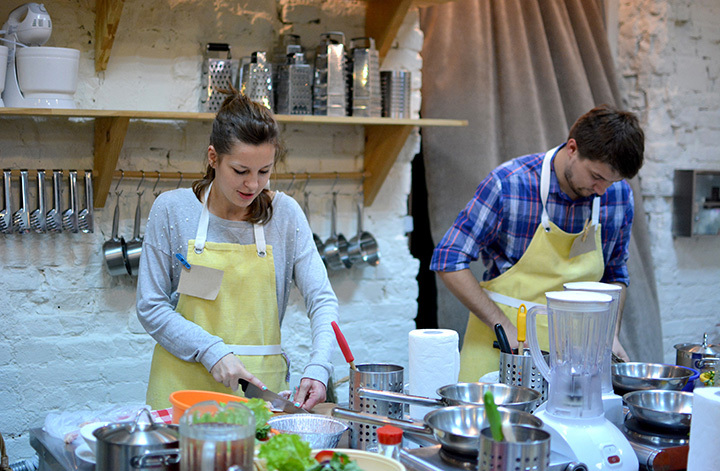 The 9 Best Cooking Classes in Kansas! Looking to brush up on your cooking skills? Learn a new style of cooking? Become a master baker? Whatever culinary abilities you’re looking to boost, you can do it at one of Kansas’ excellent cooking classes! Here are the nine best in the state. Don’t just take a class to learn how to make a single dish, enroll in a cooking class at the Culinary Center of Kansas in Overland Park. You will transform your daily cooking routine! Drop by this enchanting store to pick-up unique cooking supplies and to get a schedule of their cooking classes that are held year-round. Unique recipes and delicious demonstrations are on-going at this cooking shop! Learn from the best at Providence Hill Farm in Atchison. They have workshop/classes on handcrafted items and will teach you the art of making cheese and cooking artisan breads. Chef Alli hosts cooking classes online and across Kansas. Her much anticipated classes are listed on her website and are upcoming cooking classes featuring Kansas’ favorites dishes. Williams-Sonoma in Wichita offers cooking classes throughout the year and is a great place to pick up a few cooking pointers. They even offer select kid’s cooking classes too! The Young Chefs Academy in Lenexa is a cooking educations center for kids. They host classes, parties and opportunities for kids of Kansas to learn how to cook for themselves. Be sure to visit The Cook’s Nook in McPherson and sign up for all the upcoming cooking classes and demonstrations. All you have to do is sign up to receive their newsletter online and you will be baking and learning soon! Learn the best ways to prepare delicious culinary dishes with the finest ingredients which include the olive tree, fine oils & vinegars made fresh in Overland Park, Kansas. Let the experts at Smoke N Fire in Overland Park, teach you the best ways to grill and smoke foods all year long. The classes will teach you this age-old skill of cooking outdoors.